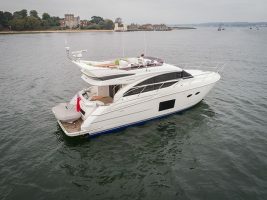 A clue to the USP of Sealine’s September 2001 Southampton Boat Show launch into the hotly contested 40ft flybridge market was in the name – Sealine 42/5. 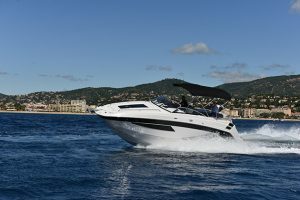 By the noughties, Sealine was innovating like mad, and that 42/5 designation referred to SECS – the Sealine Extending Cockpit System. 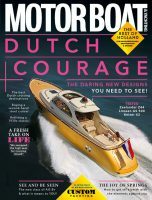 At the touch of a button, the entire aft section of the cockpit slides gracefully rearward, taking the aft cockpit seat and a large section of bathing platform with it, extending the cockpit, and the boat, by 3ft. 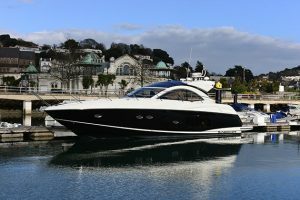 Your 42ft flybridge boat is now a 45-footer. Hence, 42/5. 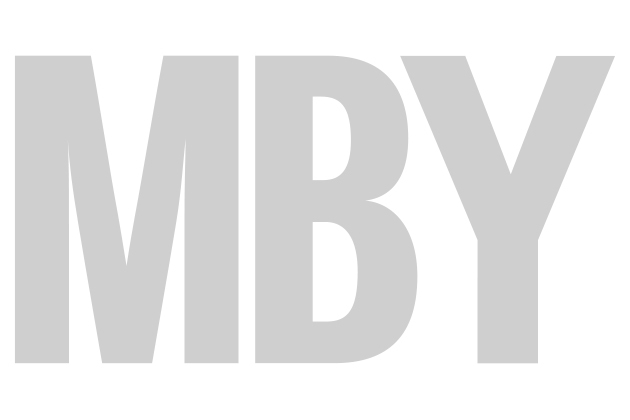 The innovations (and the acronyms) didn’t end there. 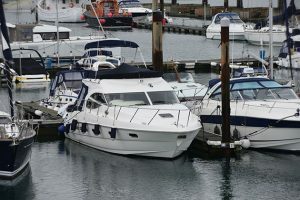 SDS stood for Sealine Docking System. 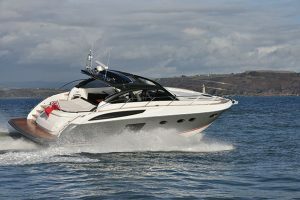 We take joysticks for granted now but Sealine were linking bow and stern thrusters to engine gear shift back in 2001 to give single-stick control. 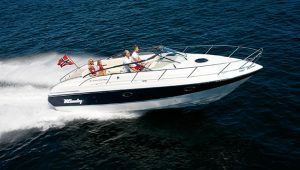 Likewise, integration of electronics is now commonplace, but Sealine was pioneering this stuff 15 years ago. 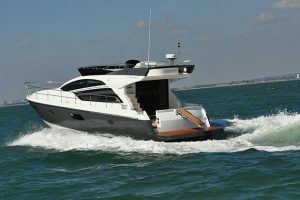 The Sealine Integrated Business System (SIBS ) was an on-board hard drive that allowed access to navigation and on-board entertainment via TV screens and plug-in keyboards. 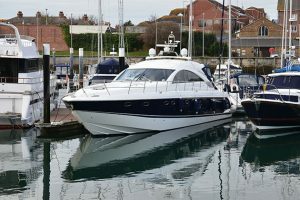 But what of the boat itself? 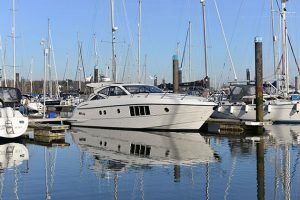 I went to check out a 2002 example that was in the process of being sold by Sealine specialist Richard Allen. 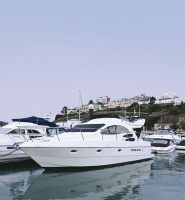 Richard’s history with Sealine dates back to the early 1990s; he worked for the company for over 20 years before setting up his own Torquay-based brokerage, RPA Boat Sales, and his Sealine knowledge is encyclopaedic. 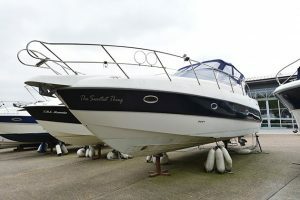 The layout of the boat I looked at is entirely conventional for a boat of this size and type. 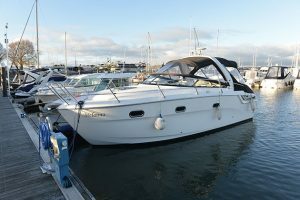 There’s an ensuite master cabin forward and a guest cabin to starboard that accesses the day heads. 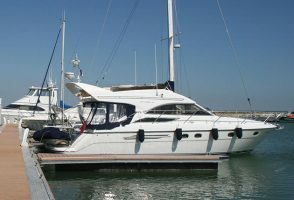 The galley is a couple of steps up to port, linking it to the saloon via a single further step. 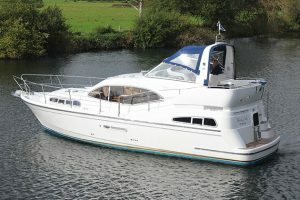 The helm station is raised and to starboard, and the saloon features a C-shaped settee behind it with a two-person settee opposite. 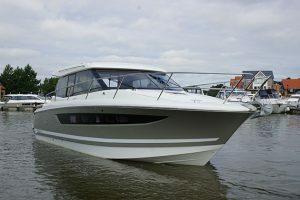 Sealine also built a three-cabin version. 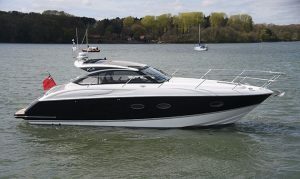 The galley moved into the saloon, running along the port side in place of the two seater. 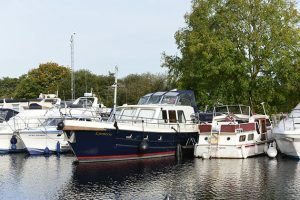 The freed-up area created space for a small bunked cabin, the top berth Pulman style so that it could be folded away to make more space for a single occupant. 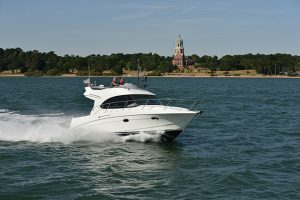 Read the full report on the Sealine F42/5 in the April 2017 issue of MBY.